Long ago, people would communicate a message through a bottle released in a body of water. It was used to convey various messages, even romantic ones. 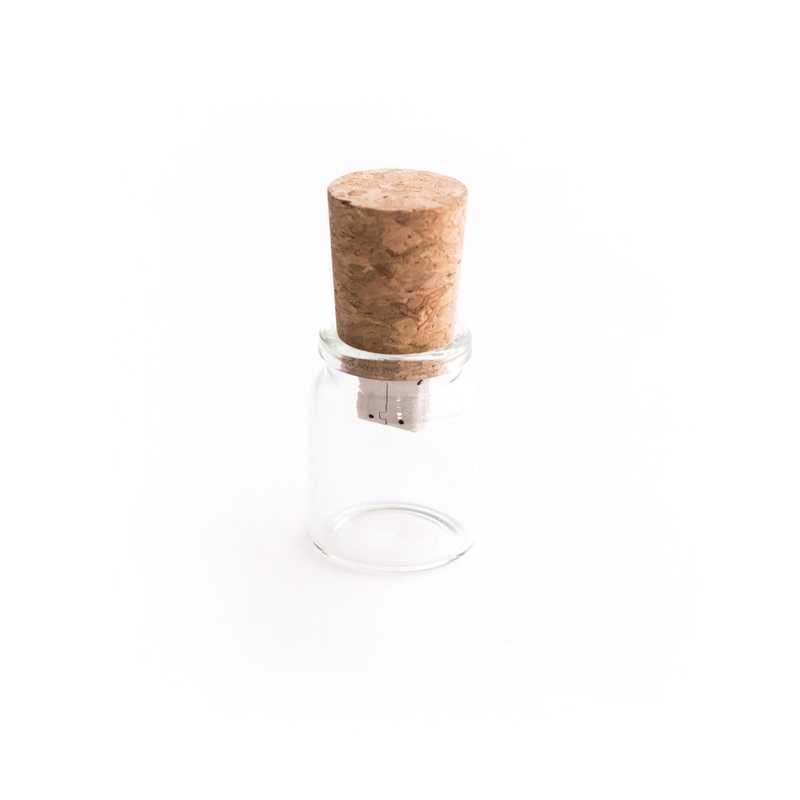 Alas, this tradition of cork and bottle still remains to this day. Although, not in the same way. 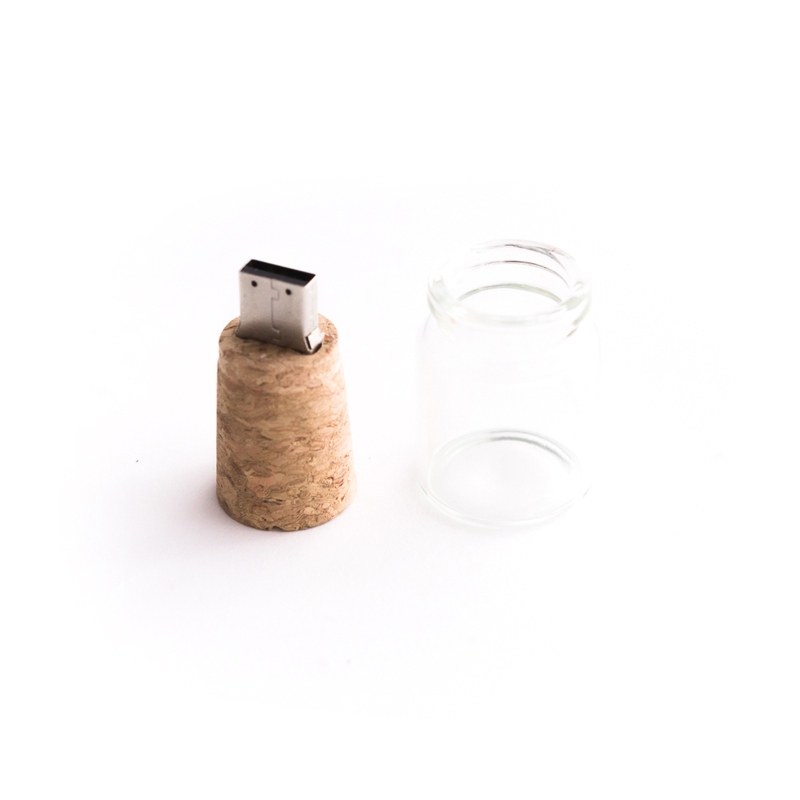 Now, a massive amount of digital storage concealed in a cork and bottle suffices to bring the best memories, by land or sea. Due to the nature of customized products, there will be no returns or exchanges accepted other than product defects. In case of product defects, please contact us at [email protected], we'll do our best to provide a satisfied solution for you. If you like the warm feeling of natural wood and the delicacy of crystal. This is the best storage you can find here. With the customizable 3D engraving in crystal, you can freeze memories in time and space. Pull open the wooden cover. The USB hub will be the only thing that protrudes. The rest is cosily encased in a blanket of premium wood. Close with the cover and it disguises itself as a plain albeit rich piece of wood. Where purpose and elegance meet. It is a thoughtful harmony between a lucid crystal and polished chrome. The unity of these unique materials on this flash drive perfectly represents the purity of a sacred love. At just .15 inches thin, this flash drive stainless-steel unibody design resonates simplicity. It’s polished surface adds the right amount of definition and punctuated grace. Even with a variety of capacity options available, the sleekness is never compromised.